ICCI,Your Transporation Partner with the Power to Go the Distance. International Commodity Carriers Incorporated is located on Interstate 5, in Medford Oregon. We serve our customers in Canada, Mexico and from coast to coast. Flat bed freight is our specialty. We have spent the last 15 years perfecting the business of arranging transportation for a variety of cargo. 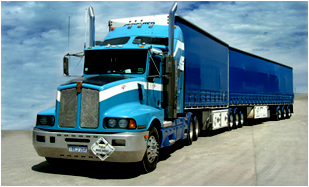 We have arranged the transportation of everything from building products and stone to agricultural products. From the isolated move requiring specialized equipment to supply chain management, International Commodity Carriers should be your choice. Analyzing our customer's needs and reacting to the challenges of the market place best defines our role in the complicated world of transportation. I.C.C.I. has risen to the elite level within our industry. We have been the recipients of numerous awards recognizing our capabilities, our financial achievements, our credit practices and our commitment to ethical standards. We are proud of our involvement as a P3 Partners Program member and to be Foundation contributors of the T.I.A. We do not claim to be different from our competitors; just better. We strive to be your partner in the movement of cargo from origin to destination. We are fully authorized and insured as a property transportation broker and are among the select few fully authorized to move Department of Defense cargo, among other government agencies. I.C.C.I. has invested substantially into technology for today that will carry us into tomorrow. It is our pleasure to bring you our best efforts, and become your partner in transportation. Here at I.C.C.I., we pride ourselves on our ability to match loads to trucks. Our Van Division, which has made great strides in the last five years, has expanded to include perishable items such as produce, meats, dairy products, candies and sea foods, just to name a few. When you have need of a van, be it vented, dry,insulated, or temperature controlled, I.C.C.I. would like to be first on your list. I.C.C.I. will go the extra mile for you. International Commodity Carriers Inc should be your first phone call and your last. 1-800-422-8785.
International Commodity Carriers Incorporated specialized division offers many services not easily found in today's transportation world. I.C.C.I. offers very diversified services from the simple partial shipment to the very difficult projects. Our knowledge of the variety of equipment and machinery sets us apart from the other brokerage and transportation firms. 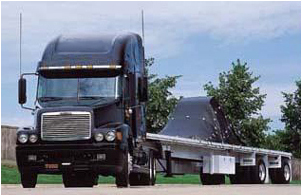 Our goal is to solve all of your transportation needs by offering a carrier base with a diversified fleet of flatbeds, step decks, lowboys, and many variations of multi-axle lowboys for your specialized moves.